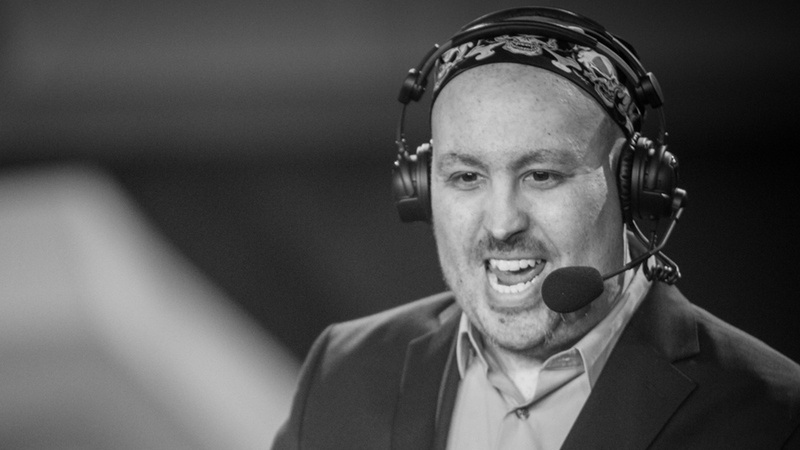 After a long bout with cancer, we've learned that popular internet personality and gaming critic TotalBiscuit has passed away today. This news comes by way of John "TotalBiscuit" Bain's wife and business partner (CEO of Cynical Brit and Axiom eSports) Genna Bain, who shared a dedication on Twitter. For those of you who aren't aware, TotalBiscuit has been battling cancer for several years, and sought several forms of treatment; all the while keeping up with his duties professionally casting, participating in podcasts, continuing his critic career on YouTube, and keeping his fans updated with the status of his condition. Although he reported that he was stable in late 2017, just a month ago doctors informed him that his liver was failing and the cancer was growing more aggressive. He then announced his retirement from criticism and made it a priority to spend time with his wife, in part through the Co-Optional Podcast that they operated together. I had the good fortune of meeting John at MomoCon last year, and I have nothing but good things to say about him. Although onlookers are familiar with his online persona, John was one of the most professional and humble industry members I've met to date. He seemed optimistic about his condition and was in good spirits; he wasn't afraid to crack a joke and lighten the mood a bit. Our thoughts go out to John, his friends, and his family today.